The Dream refuses to die – but who will play? 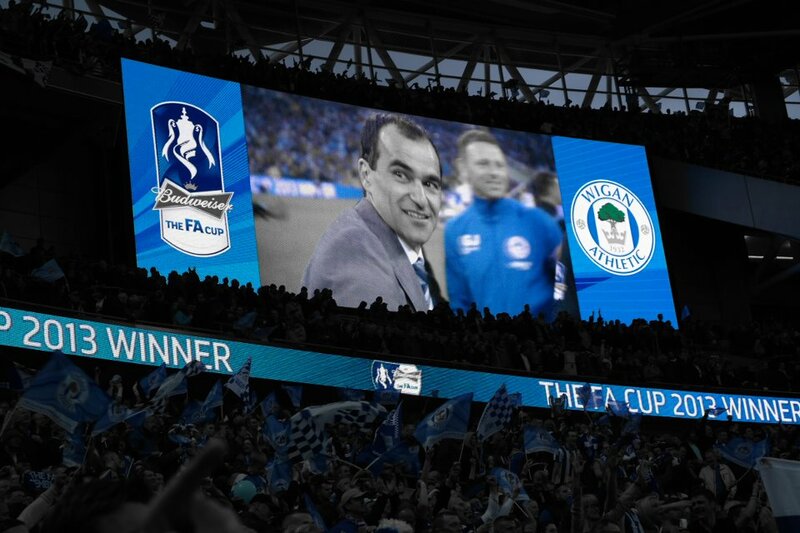 When Wigan Athletic won the FA Cup it really was a dream come true. Who could ever have imagined that they would be within close distance of making it come true again just eleven months later? Just like last year Latics had a difficult time disposing of a team a division below them in the early rounds. Last season it was Bournemouth, this time around it was MK Dons. Martinez’s team had an amazing 3-0 win at Everton in the sixth round, while Rosler’s side also shocked the pundits with a 2-1 win at Manchester City. However, Martinez’s team were to meet Millwall in the semi-final. Arsenal present a different proposition. Whatever happens at Wembley tomorrow this team has done the club proud. They have got to the semi-final on merit following three successive victories over Premier League teams. Latics had gone into the match at the Etihad following a series of good results, having won 4-1 at promotion-chasing Nottingham Forest in the previous game. Nevertheless they were facing a City team that had won 12 of its 13 home games in the Premier League and had already thrashed Latics 5-0 in the League cup. As with the FA Cup Final last year against the same club, Latics’ manager got his tactics spot-on. Rosler’s team plays a more pragmatic style of football than that of Martinez. From the start they went at City, their high pressing game stemming the flow of the Citizens’ play. When Latics’ went 2-0 up not long after half time they dug in to conserve the result. City were to get a controversial goal that should have been disallowed for offside, but they were to pummel Wigan’s defence. With grim determination and a tiny bit of luck on their side Latics held on to get their victory. At the Etihad, Rosler played a conservative 3-5-2 system, with Marc-Antoine Fortune and Callum McManaman upfront. However, the midfielders – Jordi Gomez in particular – pushed forward in the first half. He had surprised us by playing Chris McCann in the left of the backline trio. Leon Barnett was to take over that role after half time, due to the unfortunate injury to the Irishman. Rosler will almost certainly adopt a similar approach tomorrow. Arsenal tend to pack their midfield with a lot of players and Wigan will need strength in numbers there to compete. James McArthur and Jordi Gomez will play in central midfield with James Perch and Jean Beausejour playing wide. However, it is that third central midfield position that will be up for grabs. Jack Collison has the most experience, but played a full game in midweek plus most of the second half last Saturday. Would his knee stand up to him taking a starting role tomorrow? Josh McEachran played there at the Etihad, but has not figured much recently and was taken off at half time on Tuesday. However, this is an entirely different kind of match to the league encounter against Millwall and might well suit the young Chelsea loanee. The lineup could well be that which began the second half at the Etihad, with the exception of Jean Beausejour for Stephen Crainey at left wing back : Carson ; Boyce, Ramis, Barnett; Perch, McArthur, Gomez, McEachran, Beausejour; McManaman, Fortune. The 29 year old Michael Oliver has been named as referee for the encounter. Coincidentally he officiated last year’s semi-final against Millwall. One of the features of Rosler’s regime has been in the discipline shown by his players, with no red cards received. They will need to show that same kind of resolve tomorrow against a skilful Arsenal team whose supporters will be in the large majority at the Stadium, ready to pressurize the young referee. The fourth placed team in the Premier League is playing against the fifth placed team from the division below, which has already played 55 matches this season. So once again the odds are heavily stacked against the Latics. However, only a fool would count them out.